Keep emotion (and error) out of your measure evaluations with these step-by-step instructions. Tired of parsing through pages of reports and comparing lines of data to understand how you’re executing on your strategy? We get it. But the process doesn’t have to be that painful. Instructions on how to establish your RAG statuses for a simple, visual evaluation. 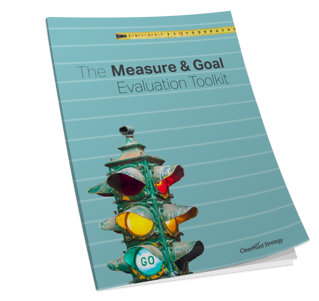 Everything you need to know about automating your measure and goal evaluation process in software or Excel. Information a leadership team needs to know to make better decisions. Download now if you’re ready to spend less time analyzing and more time managing.